HomeWorldDead Sea: Could sinkholes’ eerie beauty draw tourists? February 5, 2018 Paul World Comments Off on Dead Sea: Could sinkholes’ eerie beauty draw tourists? The Dead Sea is receding by more than 1m (3ft) a year. 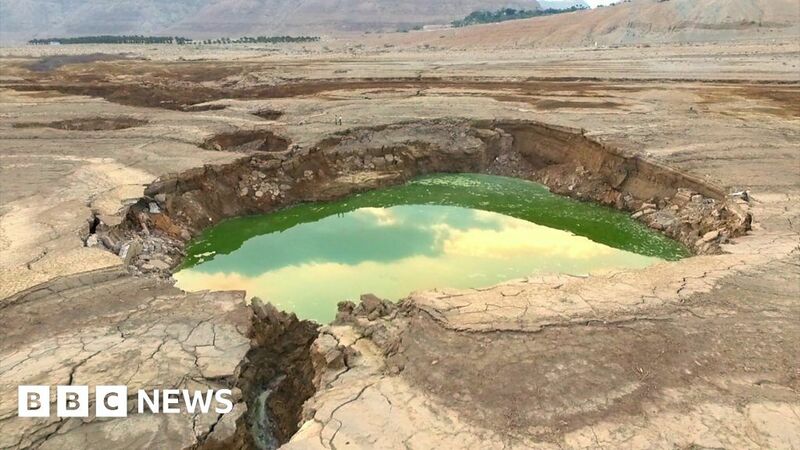 It is leading to the formation of sinkholes which have caused the destruction of a major road and the loss of a tourist resort which was one of the Dead Sea’s few public beaches. But could the damage caused by the sinkholes be turned into something positive? The BBC Travel Show’s Jo Whalley finds out more. If you are visiting the Dead Sea you do not need to worry about a sinkhole opening up under the beach as the affected areas are clearly signposted. Areas with sinkholes can be dangerous should not be entered without guidance from an expert. February 19, 2019 Comments Off on Housing Is Already in a Slump. So It (Probably) Can’t Cause a Recession.